In reality the story is indeed primarily that of the Stewart Royal Family, European to the extent that they were based abroad through the period. Despite Mr Rintoul’s slight in suggesting that Gaelic is neither a European Language nor one fit to tell an international story, we noted numerous points through the exhibition where greater use of Gaelic would have been beneficial in communicating context and authenticity through the multi-national, multi-language presentation. In truth Gaelic was minimised to the extent that the few times it did appear were without explanation or remark. The bilingual quotes and titles which appear throughout, along with the Gaelic singing, were used as background flavour rather than as part of the story. Discussing the tartan tunic said to have been worn by the prince, it is noted that he adopted highland dress to ingratiate himself with the clans. A perfect opportunity to mention his need to learn the language of the highlands in order to communicate with his subjects. Indeed staff present when we visited were unaware that the Prince himself had any knowledge of the language. Gaelic’s role in this European story is so integral that its omission would leave visitors with no knowledge of the language and culture to question why the Prince landed in Eriskay and moved through the Highlands, and why from Derby he again made his way there, and again to Skye and beyond to Uist after defeat at Culloden. It also raises the question as to why these important locations were omitted from the ‘Jacobite Trail’ which accompanies the exhibition. Visitors are left with their stereotypes of these places as remote, at the edge of the world, rather than, as they had been for centuries, an important link between the Highlands of Scotland, Ireland and beyond. The video playing at the Battle of Culloden segment was particularly jarring, the lament of a highland woman over her husband lost in the battle. Choosing to put English words in the mouth of someone who would have been unlikely to have herself chosen that language was the most obvious slight within the exhibition presentation. We would have expected, as the volume of Gaelic verse and story relating to the battle testify, for this to have been in Gaelic. A perfect opportunity, given the availability of sub-titles, to integrate the language in an authentic manner while not detracting from the experience of monolingual English speaking visitors, or the story itself. On this point also, it would have been greatly beneficial for the Gaelic song which follows the English monologue, to have been given subtitles in order to communicate the meaning to non-Gaelic speakers. As presented, the song is nothing more than a pleasant background flavour as visitors move on through the exhibit. ‘Mo Rùn Geal Òg’ is a fantastically expressive song, frequently heard to this day, which eloquently reflects the feelings of the widow lamenting the loss of her husband at Culloden. For us this was perhaps the most powerful piece in the exhibition and makes reference to the suffering which followed the Prince’s campaign, the significance of the words strengthened by the haunting tune. However, English speakers were denied this experience completely, something evident for the way they rose from their seats as soon as the singing started. As is common practice in Europe, we would expect to see bilingual exhibition texts as standard within our ‘National’ Museums. This notwithstanding, your own commitment, in what is a particularly weak Gaelic Language Plan, notes “We will continue to provide side by side English and Gaelic interpretation based on demand, cost and relevance.” If this is not the case for major exhibitions on the Celts and Jacobites, then are there any subject matters which will qualify for side by side interpretation? A Gaelic translation has been created, and as you note is available online. However without even providing images or context within this document, it is of extremely limited use. We attempted to make use of the download, but were restricted to following the exhibition in the order prescribed by the PDF, or searching through the PDF translation for the correct piece of text. This document furthers the impression that the bare minimum is being done to satisfy the requirements of the Gaelic Language Act. We would urge NMS to employ a Gaelic Development Officer to ensure that correct consideration is given to the language in the workings of the Museum. We would encourage NMS and Bòrd na Gàidhlig to look at strengthening the provisions within your ‘Gaelic Language Plan 2017-2022 (Draft second iteration)’ and to move towards some level of side-by-side interpretation and bilingual signage within the Museum as standard. As we have highlighted on social media, we are in a situation where greater respect is given to Gaelic by private companies such as Homebase and by American authors and TV production companies (Outlander) than is given by Scotland’s National Museums under the Gaelic Language Act. Gaelic is in a frighteningly weak state in Scotland today, in part as a result of the Jacobite period and subsequent persecutions and clearances. This will not change while the young generation of speakers who took part in our protest on Saturday 24th of June grow up in a Scotland where a basic level of respect and visibility of their language is denied to them by officialdom. Read the gaelic language version of this article here. Thank you for your comments on this. It is indeed a true tragedy to see the weakening of the Scottish gaelic language. then your comment above, (noted below) should be adhered to without a doubt. Gaelic should also be taught in all Scottish schools, much as other nations teach their children ‘their own tongue’..!! Scotland needs to go back to its roots.. and the great Royal blooded nation She is! “Since Gaelic is the true language of the Scottish People.. who are of Royal descent as we know…”. I don’t recognise either of the statements in that extract as true and factual. Excellent article … The Scots need to claim their language rights again..!! and their culture so hard fought for and defended for hundreds and hundreds of years!1 Gaelic is the tongue of the Scottish People and must be respected.. and spoken .. if not it will be lost… as is proven by what happened here.. While I do not disagree with the main premise of the article, I would dispute the comment above about Gaelic being the true language of Scotland. I would be happy to have the correct clarification, but Pictish, of which we know little, predates Scottish Gaelic, and is said to resemble Brythonic from the remnants that survive. One source I read said Gaelic became more common only around the 9th century. Was there a time when Gaelic covered the whole of Scotland ? It remains in place names but it is hundreds of years since it was used commonly in southern and eastern areas surely. Erse was seen as the speak of wild highlanders, not civilised folk ! It survives in place names so must have been more widespread but as a Doric speaking North-Easterner, I reject the claim that we should all be taught Gaelic in schools. Doric is my heritage and represents much of my culture. I know many north easterners who also resent any suggestion of introduction of Gaelic place name signs as well as English. They are seen not only as a driving distraction but also as a complete irrelevance, both historically and present day. Gaelic is a part of Scottish history but the language is only a minor feature in much of the rest of Scotland. I think this is one reason why the take up of Gaelic has been so much less than the take up in Welsh in Wales. It is simply much less relevant historically. Hi Linda. This is just a reply to the questions in your comment, to show how others can have a different perspective on Gaelic – I can appreciate your point of view. Yes, there are parts of Scotland where Gaelic isn’t much relevant to most people’s identity: much of the NE coast, the Northern Isles, and a fair part of the Lothian and the Borders. In every other airt, there is either: a Gaelic-speaking community; or a history of Gaelic being used in the last 2-300 hundred years; or a fair proportion of people who’s families arrived through clearances and industrialisation, who have an affinity with Gaelic culture. I don’t agree with the few dafties who over-zealously claim Gaelic as ‘THE language of Scotland’, but it had a big role in the formation and history of Scotland, which is undervalued. We just want to see it given it’s proper place and significance – not imposed on anybody. Yes, Pictish and a language closer to Welsh were widespread here 1200 years ago, but they’re gone completely – it’s too late to protect them, or learn from them. Gaelic has a big and beautiful oral and literary tradition – it’s the oldest written language in Northern Europe. It’s a huge chunk of Scotland’s cultural wealth, worth preserving. You’re probably right that there was never a time when it was the everyday language of everybody, everywhere. But it was definitely the majority language for hundreds of years. Also Gaelic was the language of law and power, and had a prestige at one time (because of the written tradition and the Europe-wide influence of the Celtic Church), that other tongues lacked. It was the refined language of court for a while, even into the north of what’s now England. From about the 12th century on, it seems there was an ongoing struggle for prestige in the Scottish kingdom between Gaelic and English. At one time, the ‘Scots’ language referred to itself as ‘Inglis’ and to Gaelic as ‘Scottis’ … the word ‘Erse’ came in later to make Gaelic look Irish and therefore foreign. So, in that limited sense, Gaelic is the ‘original’ Scottish language, like it or not – and that’s why some people see the demise of Gaelic as part of the long-term policy to destroy Scotland as a separate entity. Your comment that, “Erse was seen as the speak of wild highlanders, not civilised folk !”, would have been seen by Highlanders as an aspect of deliberate “cultural cleansing” that was perpetrated by pro-English propagandists over centuries. I totally agree with you that the Gaelic language is less of a core feature of modern Scottishness than the English, Welsh, or Irish languages are to our neighbours’ respective identities. But as someone who sees Gaelic as one of various aspects of my heritage, I love seeing Gaelic signs on roads and railway stations, I imagine tourists like it too, and I can’t understand how it’s a distraction to anyone. I tend to ignore the English version on a bilingual sign, and focus on the part that has meaning for me. I don’t see how an English (or Doric) speaker can’t do the same. And lastly, yes, there’s not much of a case for Gaelic on the core curriculum all over the country – but a fair wheen of kids would happily learn a bit of it given the option. Rose, I’m from the North East myself. Gaelic was alive and well in rural Aberdeenshire until relatively recently. The last Gaelic native speaker in Strathdon died in the late 70s. Corgarff had one of the first Gaelic schools. The entire area consists largely of Gaelic toponyms, most of which have been Anglicised by immigration to the area by Doric or English speakers. The farm name Bellnagal near Glenkindie, for example, would have been Baile na Gall (township of the foreigner/stranger).This in itself shows the nature of rural life in a region that quietly suffered clearance after Culloden much earlier than the West Coast. The fact that Gaelic disappeared as quickly as it did owes more the regions proximity to larger urban centres such as Aberdeen and to the commodification of the Highlands by Victoria and Albert in the 1800s than anything else. Effectively, the region was linguistically cleansed. By all means, celebrate Scotland’s Doric heritage, something that Bella Caledonia has consistently failed to do, but don’t carpet over the North East’s claim to Gaelic ancestry while doing so. The trouble is the inconvenient facts. Scots was the language of the court and increasingly the rest of the Lowlands from the 14th century. Gaelic did cover most of Scotland between Pictish and Brythonic and the growth of the Scots language but it retreated leaving small pockets here and there outside the Highlands. You mention Gaelic being spoken around Strathdon and Huntly. Yes, the home of the Catholic, Jacobite Duke of Gordon. Nothing to do with Queen Victoria I would venture. Rose spoke about resentment. Unfair. I respect the Gaelic language and culture, I just don’t want to be dictated to and told it is mine. Firstly, I do not think that Gaelic is the “true” language at all. It was the language of a group of settlers whose focus was on both sides of the Irish Sea. It was briefly widespread but overtaken gradually by Scots. It was never spoken in south-east of Scotland where they went from old Cumbric (I believe) to Scots. I do resent being told that my regional culture, dating back over probably 500 years is somehow less valuable than another regional culture! This has nothing to do with unionism. Read my other post about the burgh records of Aberdeen in Latin and Scots! The fight to keep a minority language alive is a worthwhile one but it should not be confused with nationality alone. This romantic notion is more a unionist one than my support of Doric. Was it not the wee German Lairdie who made tartan popular and launched a million shortbread tins? Doric is dying with the influence of the Internet, television and global culture. Chances are Gaelic will go the same way if it cannot make itself relevant. A language does not stay vibrant unless people want to use it. So all those of you not born to Gaelic speaking parents or in a Gaelic speaking area, how good is YOUR Gaelic then? Are Linda and Linda Stormonth the same person? I ask simply for clarification because there seems to be a similarity in the lines of argument and in the Aberdeenshire background. – I did not read any implication of this in the original article. It seems to be encouraging a conflict where one should not exist. Of course, the Doric culture is an important one in a large area of Scotland and should be valued and sustained, as should Lallans. I think, too, that in all parts of Scotland we should be exposed to the various linguistic heritages and to be afforded the opportunity to develop an understanding of the complexity of our cultures. Doric, Lallans and other languages/dialects were not ‘suppressed’ as Gaelic was after the ’45 rebellion. In school, in Glasgow, our local speech was ridiculed by many teachers and we were urged to ‘speak properly’. I know from my in-laws who are from the north east that they experienced similar condemnation. However, there were many teachers who did value and promote the ‘cultures’. But, with Gaelic it was considerably more severe. It was an active government policy and continued into the 20th century, as my late mother and her friends frequently attested with a fair degree of bitterness, resentment and anger. Gaelic does, sadly, evoke a deal of hostility amongst a number of people, who, in many ways are pretty open minded individuals. I think the reasons for this are several and arise from the politics post ’45, when the Highland/Lowland dichotomy was fabricated. It was fomented with a strong measure of Protestantism versus Catholicism. And, there was the usual economic pressures as Highlanders and Irish people moved to the cities in search of work and employers employed divide-and-rule tactics to drive down wages and conditions. I think that Linda and others should not be drawn into any-divide-and-rule, Gaelic OR Doric, etc battle. We can and should be arguing for all of our linguistic cultures to be promoted. I think the author of the article, is right to highlight the almost complete absence of Gaelic in the NMS Jacobite exhibition, because Gaelic is relevant in the history of what was a very significant conflict in the history of Scotland and the United Kingdom, which continues to have echoes today. Thanks Alasdair, you are right that the complaint is not just of language exclusion but of historical re-writing. Its not really feasible to exhibit Jacobite history without placing the destruction of gaelic language and wider highland culture as central. Its also far too easy to place Scots against Gaelic which is a mistake, and one that our recent forebearers were acutely aware of. I do find it sad when minority languages are on the way out. I was a languages teacher so I am not unsympathetic just pragmatic. However widespread it actually was, Gaelic was displaced by Scots around the 13th century in many parts of Scotland, hence my jokey comment about Erse, because that is how it was seen, suspiciously, by many Lowlanders, that is, as different, not part of their own culture. This is why the shoehorning of Gaelic into areas where has not been seen for hundreds of years is scoffed at here in the north-east. It is not our culture. I respect the fact you believe otherwise but think you will find many north-easterners bewildered, even huffy, about what we would see as Gaelic muscling in on our turf. I read an argument on this site (written a few months back) by someone else attacking my view giving reasonable arguments about why it should appear on Place name signs etc all over Scotland and be a part of life where it died out a long time ago. The trouble is I just do not agree. The Guardian article linked to above mentions his distaste for the mistaken translation of Cardonald, mistaken because it never came from Gaelic and now is being seized on as a likely Gaelic contender. I am not alone in finding the extra pointless information of some local town in Gaelic on a sign distracting as it takes me longer to read than it normally would and for no good reason. There is a project here in Aberdeen transcribing and translating the burgh records which date back to the 13th century, the most complete in Scotland apparently. At the talk I attended, there was a handy pie chart showing the amount of Latin and Scots the records were written in from the earliest records onwards. First it was all in Latin and, as time went on, progressively more Scots. But no Gaelic. It is indeed sad to lose a language but people need to WANT to keep it and not enough people are prepared to go through the hard graft of learning and using it. How many people busy supporting its preservation actually speak more than a few phrases but “are learning”? A language needs to be relevant, to look to the future not some imagined past. Folk are not daft. They may be sympathetic to the plight but not enough to actually bother learning it which is the only way it will survive. Myself, I favour the compulsory singing of bothy ballads every morning in schools to keep the tradition alive. Seems the demand and relevance are there. There’s clearly resentment about the demand for respect towards the Gaelic language. I’d suggest it’s partly Unionist-related in its instinct, and that it stems from prejudice, possibly historical guilt. You see similar resentment in all cultures (though expressed in ways that cover the spectrum from insidious to overt) where an indiginous language has been largely replaced with a dominant one – for example towards the indiginous people of America. The irony is that many of those who’d consider themselves liberal-minded, and who would speak up about the survival of Native American culture, will be the same people who dismiss observations about Gaelic language and culture. The other irony is that the popularity of shows like Outlander probably influenced the decision to organise this exhibition about the Jacobite rebellion, no doubt they thought ‘that’ll bring in the American punters’. You have to feel a certain amount of pity – they’re on to a good thing, but they don’t quite ‘get’ what it is that people from other countries find fascinating about the subject! I’d go further, I’d say that the British liberal tradition (grateful as I am for much of it), is anti- Gaelic culture right down to its deepest roots in whiggery. I’ll expand on that, if anyone expresses an interest. There’s clearly resentment about the demand for respect towards the Gaelic language. I’d suggest it’s Unionist-related in its instinct, and that it stems from prejudice, possibly historical guilt. You see similar resentment in all cultures (though expressed in ways that cover the spectrum from insidious to overt) where an indiginous language has been largely replaced with a dominant one – for example towards the indiginous people of America. here’s a song written by an irish bard after culloden . Mo Ghille Mear is a traditional allegorical song – similar to the Gaelic poetic form of the Aisling – in which the poet speaks as Ireland and laments the departure of Prince Charles Edward Stuart (Bonnie Prince Charlie). This is a great article highlighting some pertinent points. I do also agree there is a need to teach our Gaelic language in schools. I would very much love to have Pictish taught in our schools too but sadly the Pictish language has disappeared with only place name evidence to confirm it’s existence. To answer one of the points above it is now accepted that both Gaelic and Pictish were contemporary both languages existing side by side and also intermixing to give us a lot of Gaelic words or place names with Pictish elements. As the Pictish language eroded and Gaelic became the predominant tongue it was spoken almost the length of Scotland. I have never understood the antipathy to Gaelic from certain Scots. The language is as much our native language as Pictish and as Pictish no longer exists should be embraced and celebrated to ensure it’s survival. Hi, l visited Scotland this year August for the first time because of my family tree where l am from my mother’s side related to the Clan Campbells of Agryll,. Me and my daughter who is 12 visited the display of tbe Bonnie Prince Charles and the Jacobites Exhibition. We were both touched emotionally by the history that is so deep and the final touch to it was, the Galic song played. I speak 3 foreign languages, and my daughter 2 and I agree that the oruginal langue of Scotland should be taught in school and be spoken, it is their root, their culture and their identity. It was taken from them. 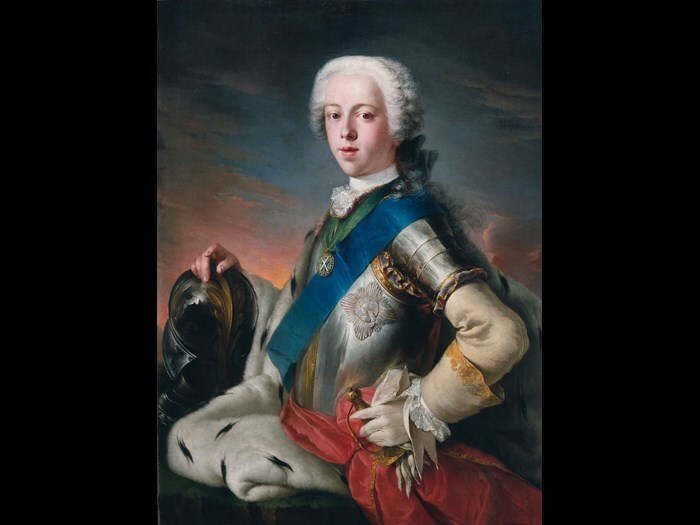 Charles Edward Stuart “Bonnie Prince Charlie” is my third cousin seven times removed (3C=7xR). Surely this should be ‘trilingual’ to include the more dominant yet still untaught Scots language, a Germanic language built upon over 1,000 years of trading and travel links to the near continent, and which aye yet awaits its ain Act tae gie aw Scots fowk equalitie wi Gaelic an English. I have strong N.E. family links and it saddens me to see comments about gaelic being somehow irrelevant or ‘primitive ‘ by so-called champions of Doric. As highlighted by some erudite contributors gaelic existed probably side by side with brythonic pictish . Significantly, many Aberdeenshire gaelic speaking men were amongst the jacobites transported to America…including Elvis Pressley’s (sic) forebear ..these men did not differentiate themselves from ‘wild higlanders’…there speaks a brainwashed unionist utterance . Doric and lallans should be taught in our schools alongside gaelic. We should be proud and interested in sustaining all of our linguistic culture, like any other normal country, not allowing ourselves to act and think like colonial serfs fighting to prove how cringeworthy we really are. There are two main points to disentangle in this forum: the historical position of Gaelic and, its future. My support of Doric and the history and heritage of my area has been misunderstood as an attack on Gaelic. Not true. Both traditions are valid. Firstly, Gaelic held a position of dominance for several hundred years but from the 14th century on Scots became the language of the court, and the nobles, and gradually displaced Gaelic. While there were indeed pockets of Gaelic here and there, Scots then English, became the main languages over most of the Lowlands. The why’s and wherefores, shoulds and shouldnn’ts belong to a different argument. The argument being proposed by many is that Gaelic which has not been a mainstream language in the Lowlands should now be reintroduced hundreds of years after it had been displaced. A language expresses a culture and my point about Doric is that the Gaelic language and culture has not been a part of my area, nor of many others like it, for hundreds of years. Some people are turning these facts into a political football. Secondly, the future of Gaelic. 25 minority languages are lost per year and this is a sad loss because it means the culture is also lost. But in this global village, how long can minority languages like Gaelic survive? They will only survive if people learn them and see a reason to keep them alive. People need to see relevance. I already said Doric is dying and the same argument applies there. The statistics state that Gaelic is dying slowly in its home areas and figures have been kept steady or slightly raised through the growth of Primary learning initiatives in other parts of the country. I am not anti-language or anti-Gaelic. I am a pragmatist. I speak French, German, Spanish, have O levels in Latin and Russian and have recently started learning Italian. I taught secondary languages and often found it hard to reply convincingly to pupils who said,”Fit wye dae we hiv tae learn Frinch?” I cannot in my heart find any more convincing replies for Gaelic. What I can say with confidence is that if all the people supporting Gaelic actually bothered to sit down and learn the language instead of expecting everyone but themselves to do it, then Gaelic would be in a much healthier state. Is there any reason why we have a commander of the British empire as a Director of National Museums Scotland. These people due Scotland a disservice with their power, privilege and patronage, they try to square the circle of British exceptionalism and flounder eveytime, they are a cancer in Scotland’s culture, and should be denied the privilege of positions of influence within the cultural and body politic of Scotland. They seek high office for the prestige that it bestows upon them, only to undermine Scottish culture from there perceived positions of privilege. Let us do away with these pricks, Marie Antoinette style. Or if you prefer. Let us do away with these male appendages, Marie Antoinette style. Maybe I should cut these people some slack, after all, they due have doctorates; but then I’m reminded of other people with Doctorates who held positions of power, privilege and patronage. Dr Joseph Goebbels, Reich Ministry of Public Enlightenment and Propaganda, a real humanitarian. Indeed, it is the BBC’s job to enlighten and inform the Queens subject’s as to the vestiges of power, privilege and patronage, and to be greatfull for British exceptionalism, as, it’s the way forward. Charles Edward Stuart did not speak Gaelic. There is no evidence that he did. He was accompanied by the poet Alexander MacDonald – whose writings hopefully appeared in the exhibition. In addition the clan leaders were consummate politicians on the world stage. Most by that time had adopted French dress as all the aristocracy had. Whilst there is some merit to your campaign engaging in overblown hyperbole and a discussion of language rights has nothing to do with a history exhibition. Every nation deserves to have their story told in a way which gives them and others a proper understanding of their history. That has nothing to do with any campaign to have Gaelic taught in schools. I hated history in school. The little Highland history that was taught all seemed to have a tinge of failure and tragedy. I almost felt the message emphasised that’s why no one speaks your language and you are now underlings at the edge of the British state with a decrepit culture that is just about non-existent. Bella Caledonia should stop giving a platform to these self-appointed ‘curtain climbers’ who say they are fighting for the Gaelic language. Then when the National Museum of Scotland appoint a ‘Gaelic Officer’ it will be someone from Morningside. Attend a few evening classes then get an artsy job/ lecturing job/ creative arts post/ etc then start producing content that is unrecognisable or just really strange to anyone from an island. Then if said islander expresses any opinion which contradicts it theyll say ‘Oh but you’ve been so oppressed none of you Highlanders know how to stand up for yourselves.’ Seen it all before and heard it all before. Go to evening classes. Learn Gaelic. Become an ‘expert.’ Get in the press. Get attention. Get job. Friends get jobs. I’m not so concerned about signs on roads or in an exhibition- more about the well-being of the Community I come from.